John Pilger reveals that the United States and China, both nuclear-armed, may well be on the road to war. The film is both a warning and an inspiring story of resistance. A nuclear war between the United States and China is not only imaginable but a current 'contingency', says the Pentagon. Filmed over two years across five potential flashpoints in Asia and the Pacific, THE COMING WAR ON CHINA reveals the build-up to war on more than 400 US military bases that encircle China in a 'perfect noose'. Using rare archive and remarkable interviews with witnesses, Pilger's film discloses America's secret history in the region - the destruction wrought by the equivalent of one Hiroshima every day for 12 years, and the top secret 'Project 4.1' that made guinea pigs of the population of the Marshall Islands. In key interviews from Pentagon war planners to members of China's confident new political class, who rarely feature in Western reports, Pilger's film challenges the notion and propaganda of China as a new 'enemy'. THE COMING WAR ON CHINA is also a film about the human spirit and the rise of an extraordinary resistance in faraway places. 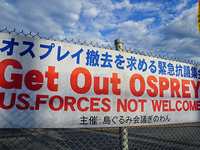 On the island of Okinawa, home to 32 US bases, the population is challenging the greatest military power in the world. On the Korean island of Jeju, villagers block the entrance to a new nuclear naval base, with its missiles aimed at China. "Donald Trump is inadvertently doing his darnedest to endow John Pilger's eye-opening polemic The Coming War on China with an air of chillingly urgent topicality." "[Pilger] is fully aware that China has negotiated the best trade deals in the region, that their vast industrialisation has poisoned the planet and sped up global warming, and that their record on human rights is atrocious. Yet shouldn't we be sitting around a table with them to discuss this, rather than pointing weapons of global destruction at them instead?...A very persuasive piece of filmmaking." "The view from China is threatening. 'If you stood on the tallest building in Beijing and looked out of the Pacific Ocean,' James Bradley, author of The China Mirage, tells Pilger, 'you'd see American warships, you'd see Guam is about to sink because there are so many missiles pointed at China. You'd look up at Korea and see American armaments pointing at China, you'd see Japan, which is basically...a glove over the American fist. I think if I was Chinese I'd have...to worry about American aggressiveness.'" "Pilger's argument, supported by the talking heads he interviews, is that China's current military expansion should primarily be understood as a defensive response rather than an aggressive one...The great lunacy of all this, he argues, is that the brinkmanship is driven not by America's defensive needs but by the hunt for profits." "Pilger interviews Pentagon war planners, members of China's emerging political class and those resisting the presence of US military bases in South Korea for the film, which suggests that the US is seeking to cut off China's access to oil, gas and other raw materials." "Pilger's take on American militarism and its shocking exploitation of Pacific territories such as the Marshall Islands, where the inhabitants were guinea pigs for sustained nuclear weapons tests, is damning." "A gripping film ... a strong corrective to our bland and complacent indifference. ****"
"(Pilger) remains in the vanguard of journalism, able to eloquently challenge accepted beliefs and in doing so shine a light in corners you suspect other media, who sup from the same trough as those in power, would rather not venture." "It sounds like alarmist talk, but over the course of his film, his tenacity for research aims to prove it's anything but." "A sane, sober, necessary, deeply troubling bucketful of worries." "What makes the ignorant and outdated perception of a so-called yellow peril so absurd is that never before have the economies of two superpowers been so interdependent." Four classic documentaries by John Pilger that changed world opinion and broadened our understanding of history forever. John Pilger alerts the world to the bloody reign of Pol Pot in Cambodia. Almost 70 years ago Costa Rica abolished its army and committed itself to fostering a peaceful society. It has been reaping the benefits ever since.